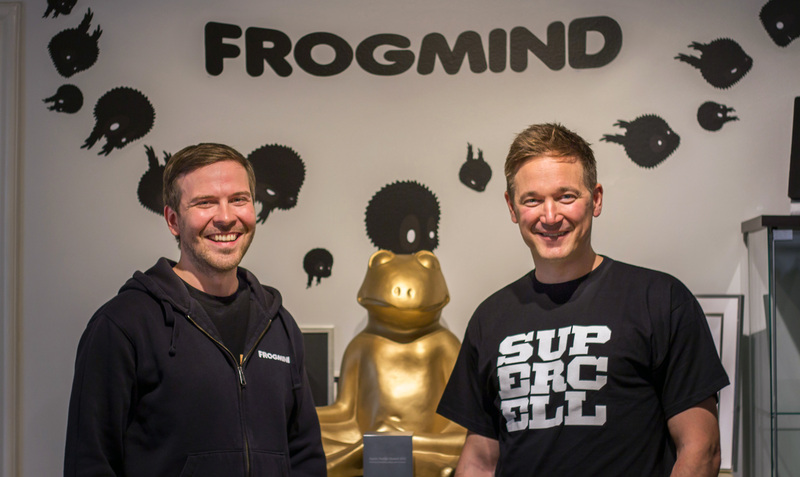 I am extremely happy to announce that Frogmind has entered into a long-term partnership with Supercell! A bit of background before going into the details of the co-operation: Frogmind was founded in 2012 with a simple goal – to develop the best games in the whole world. In April 2013 we launched our first game, BADLAND. It has been loved by both the players (45M+ of them!) and the critics and has also been financially very successful for a premium mobile game. With BADLAND’s success, we decided to start growing our independent studio so that we could do more things at once. We grew slowly as we hired only the top talent. We wanted our team to consist of people who can work independently and we wanted to keep a flat hierarchy. With our growing team, we were able to keep updating BADLAND with new content and features, bring it onto new platforms and develop and eventually launch BADLAND 2 for the Christmas of 2015. However, that wasn’t the entire plan we devised after the first BADLAND. We also started exploring the Free to Play model. We felt there was so much room for value and innovation there. And the direction where the market was headed was pretty clear. We started prototyping F2P game concepts parallel to working on BADLAND 2. Changing from the premium game mindset to F2P is not the easiest thing, but after an educational one and half years of killed prototypes we found something we felt really good about. And not just one thing, we began production of three new games! We are very proud of them and can’t wait to launch them next year! This all leads to our new partnership with Supercell. They liked our new upcoming games and the teams behind them, and we have the utmost respect for them and their gameplay, production values and elegance in solving difficult design challenges. Partnering with the world’s top mobile developer, we can get help and information no one else knows better. And with the Supercell’s backing, we can think much more long term and be more ambitious with our games than ever. This is an ideal partnership that will greatly benefit our future games and players. We will continue to operate completely independently as Frogmind, publish our own games and get to decide what games to make and how. It’s very similar to the way Supercell has operated under SoftBank and now under Tencent. We’ll be able to focus fully onto our games, worry less about finances and continue being an awesome place to work for our employees. Supercell also understands our culture and the way we make games. It’s actually very similar to theirs, having small talented independent teams with no middle management aiming to make the best games in the world. Like BADLAND which was initially made by the two of us, our new games are also being developed by small and effective teams of three to five people. Continuing to operate independently means also that our games will very much continue to be Frogmind games with their own unique DNA. Finally, and importantly, because all our current and future employees still own 49% of Frogmind (Supercell owning 51%), we continue to feel strong ownership of our games and studio. As we move to this next exciting phase of Frogmind, I feel this is a great opportunity to thank everyone who have helped us in our journey so far. Huge thanks to all our players for all the support and feedback. You literally keep us going and empower us to ambitiously create new games. Many thanks for the Finnish Funding Agency for Innovation – Tekes. Without you, a bootstrapped startup like us would have had much more difficult times on growing the studio. I also want to personally thank the awesome Finnish game development scene for all the help we have received from so many of you. We truly have a unique and extremely valuable scene. Hyvä Suomi! And last but not least, huge thanks to all our families at home. Without your loving support, making games would be so much harder. I and the whole studio couldn’t be happier about the Supercell partnership. This is the beginning of an epic new chapter for Frogmind and our games!